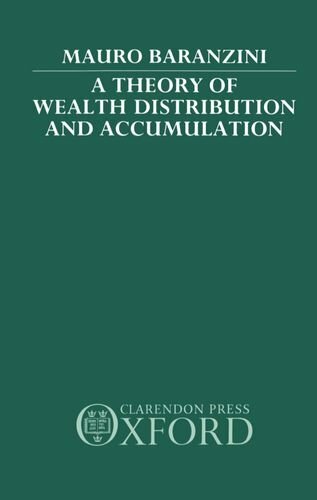 This volume provides a general framework for a macroeconomic theory of income distribution and wealth distribution and accumulation. The book is divided into two parts. In the first the author surveys the sets of literature on the subject and relates them to each other. In the second part he makes his own contribution by presenting a new model which uses both neo-classical and post-Keynesian analytical tools. The author focuses on the laws which regulate the behavior of individuals and social groups within a given institutional set-up, and in particular those which regulate the accumulation of inter-generational wealth and life-cycle savings of families or dynasties, both in a deterministic and stochastic context. The theoretical issue of savings accumulation is reconsidered, alongside income distribution, and profit determination by concentrating on the historical reasons that are at the basis of "class distinction," as well as "generation distinction," in modern economic analysis.